I am a sucker for anything sparkly, so I figured this was a good place to start! It seemed like a very simple project so I figured it was something M and I could do this afternoon while Val was napping. For the full project details, click here to go to the original poster's website. Borax? WTF is Borax? I have never heard of this substance before I read the original post. It sounds like rat poison, or something from the 50s that was used to clean your tile grout. I was surprised how easy it was to actually find in the laundry detergent aisle of Target! I am not going to lie though, I was a little hesitant to even buy the stuff and use it in a craft because it is not something really want your kid handling. I had already told M that we were going to make this goop, so there was no turning back now as all I heard after camp was, "can we make the glitter goo now? 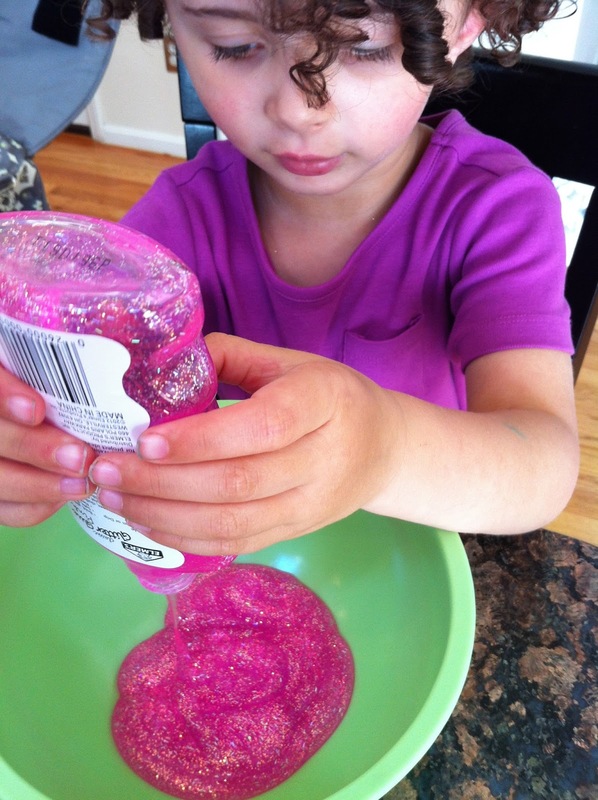 Can we make the glitter goo now? 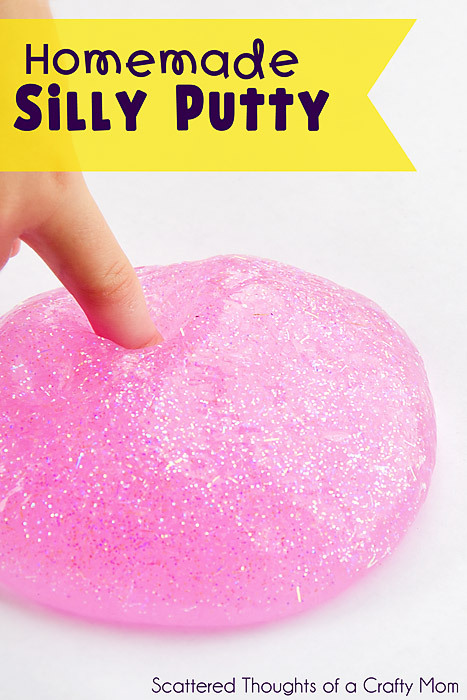 So we followed the easy steps and made, what Scattered Thoughts of a Crafty Mom calls "Silly Putty" but I would call Astro Goo. 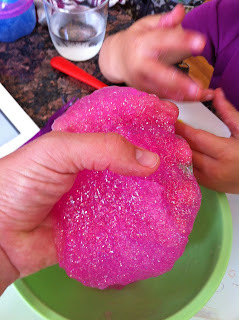 It has a gelatinous consistency, not soft like Silly Putty. The whole project took about 4 minutes from start to finish and was fun for the 4 minutes, but once we made the gooey ball of sparkles we weren't sure what to do with it! It now sits in a ziploc bag where it has hardened a bit and actually taken the square shape of the bag itself. 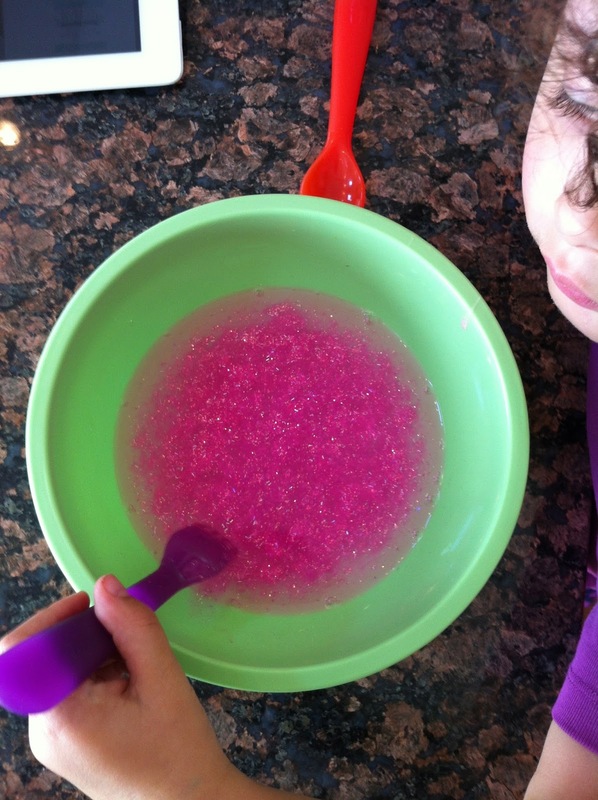 Oh and I should mention that we did 6 ounces of glue to 6 ounces of water in the beginning, and the same measurements of Borax (1/2 teaspoon in 1/2 cup of warm water) and had the amount pictured below. Overall I say it is a fun experiment to do with your kids (3+), but now I have a $5 giant container of Borax sitting in my pantry. 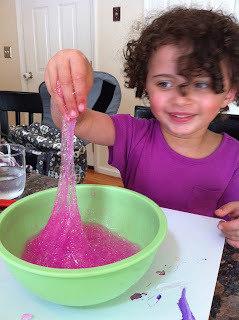 I have a lot of Astro goo to make (or laundry to do as it is a detergent booster)!! thanks for the information. i found your blog interesting.. The MP Board has decided the conduct the 12th Class Purak Examination for Arts, Commerce and Science Stream in the month of June/July. Those students now who are waiting for the MP Board Supplementary https://timetableguru.in, they can download the MPBSE 12th Supplementary Exam Date in the month of June. Here we are advising you should not waste your time and start preparation for the MP Board 2019 Supplementary Time Table Examination. Because you have not enough time for prepare your self for the exam. Male some notes and also get help from your elder brother and sisters to score qualifying marks in the exam.